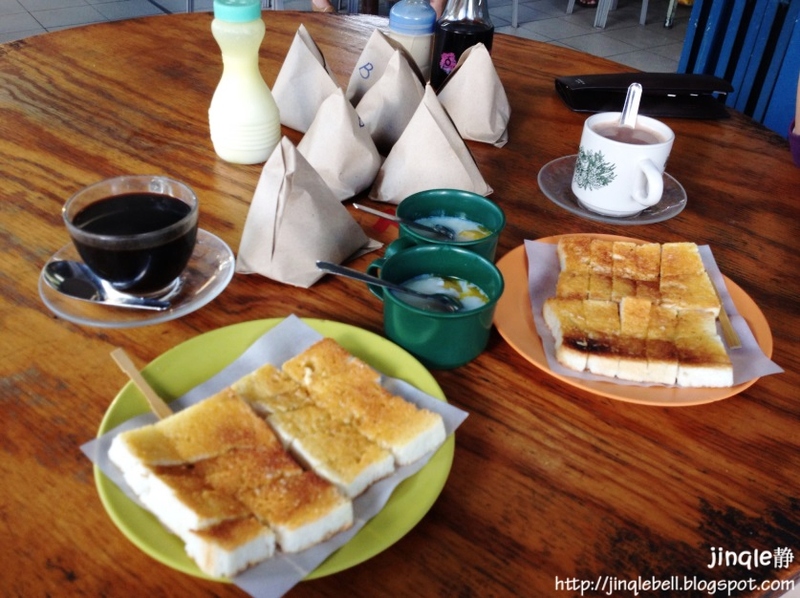 Sudden crave for traditional breakfast recently has brought me back my memories, where around 1 year ago I've came to this cafe, under recommendation of a schoolmate.People who know me know I'm direction-less, and gladly I met this girl where she knows the place and bring me here again. Surprisingly, the direction to here is actually not that complicated. After driving for a distance at the long road, you'll slowly noticed cars parking along the left side. This is somehow a "sign" to indicate that you're almost there, be careful not to miss the cafe ya. At early 7:40am, there were so many cars parking along the road and we're forced to park quite a distance from the cafe. 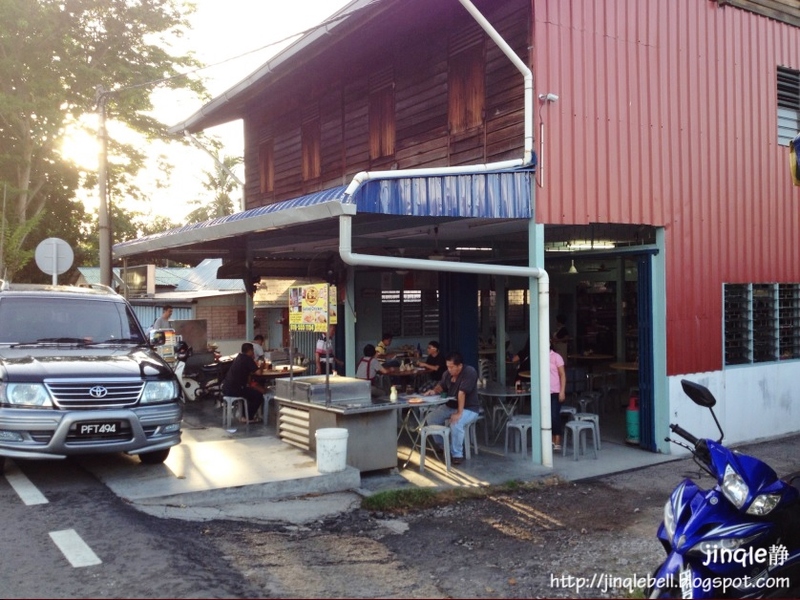 The cafe is located directly opposite Pos Malaysia. And for those who come here on Monday, sorry you'll have to miss your meal here cause they're close. 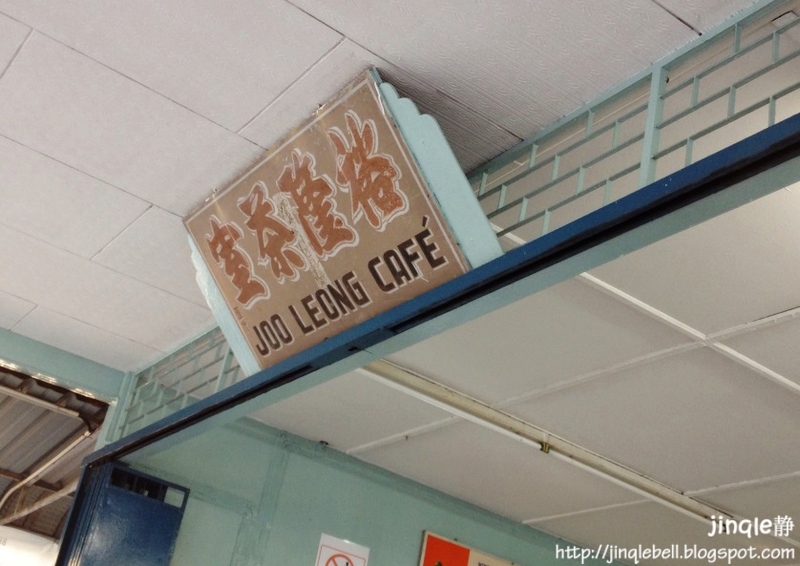 As for night time, they will sell Ipoh salted chicken, satay, bihun soup and porridge here. 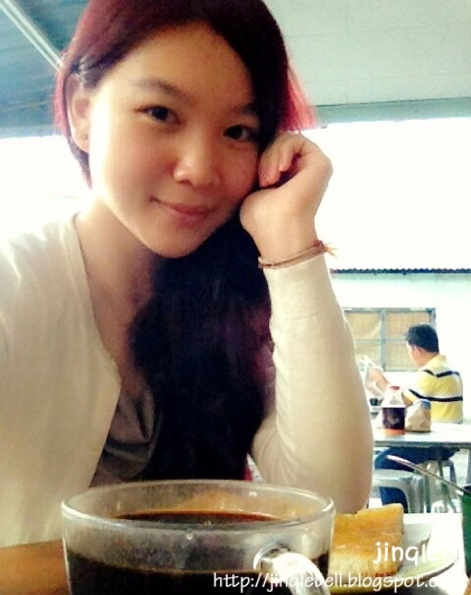 Just like other "kopitiams" there are no nice furnishing nor any air conditional here. Since it's in the morning, there's is breeze of air and it is just right to have only fan there. We found a place and sat down, next served by the owner there, I think they are husband and wife. On top of table there are packets of Nasi Lemak, which means coconut milk fragrant rice. The rice are served with various toppings which you can choose from. There are no menus around but a piece of board stating what they're selling inside the store. 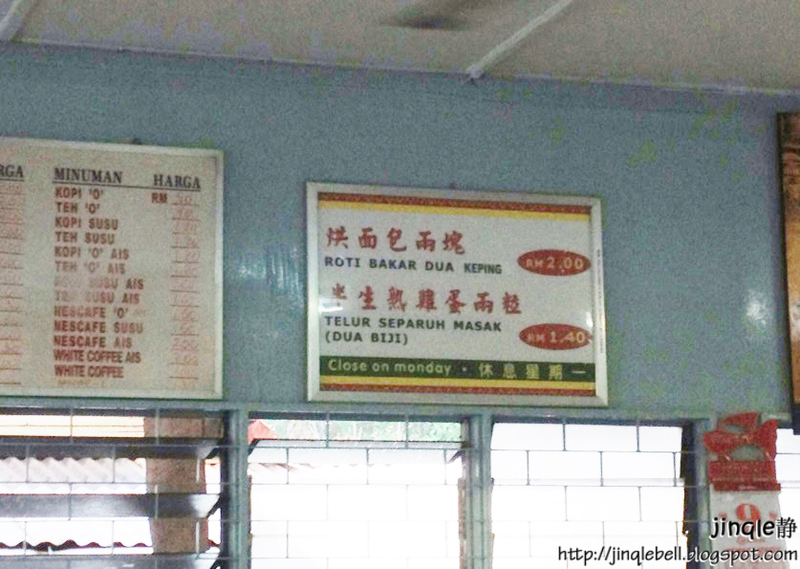 For those who doesn't know how to read Chinese, it means 2pcs of toasted bread RM2.00, 2pcs of half-boiled eggs RM 1.40. We ordered one set each, and a cup of Kopi-O for me and milo for her. It doesn't takes long for the food to be served. In case you're super duper hungry, you can always eat nasi lemak first. Choices of the day was Ikan Bilis(with B labelled) and Fish one. Remember to stir the coffee if you ordered one, sugar was all at the bottom. 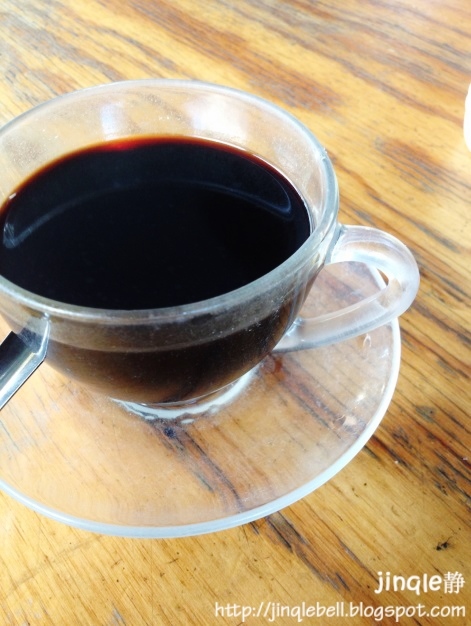 You can always opt for a plain coffee without sugar by telling them "Mai Liao" (in hokkien). Half boiled eggs was done well, not over not under cook. I prefer it without soy sauce, just personal preference. In case you got an under cook eggs, you can always ask them to change for you like what I did last visit. The bread was toasted finely and a layer of butter was applied on top and served. For those who prefer sweeter toast, there is a bottle of sugar on the table where you can top it up to your bread as you like. Sitting and enjoying my morning, I'll hear things like "noh teah" "noh liap". 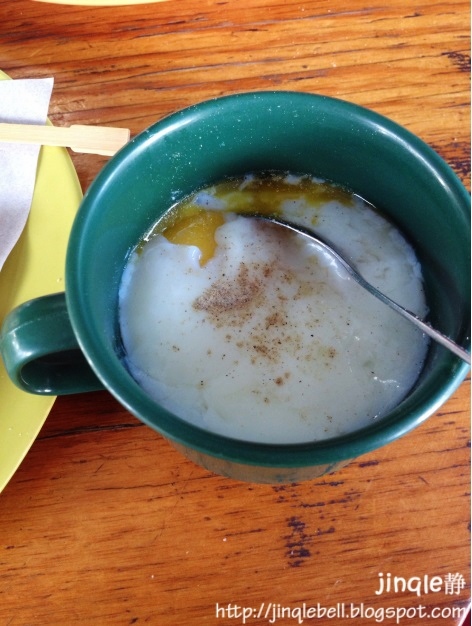 After understand it actually means noh teah roti (means 2 pcs of toasts) and noh liap eggs (means 2 half boiled eggs). For a breakfast like this, plus a takeaway of 3 packets nasi lemak, it costs me RM8.40, which was so reasonable. I was a English breakfast lover, but it is good to switch back to these type of traditional breakfast once in a while. So for those who stays around this area, now you know where to go to start your day.